Call yourself a Foodie? Then here’s a little starter for ten. Who is Simon Taxacher? 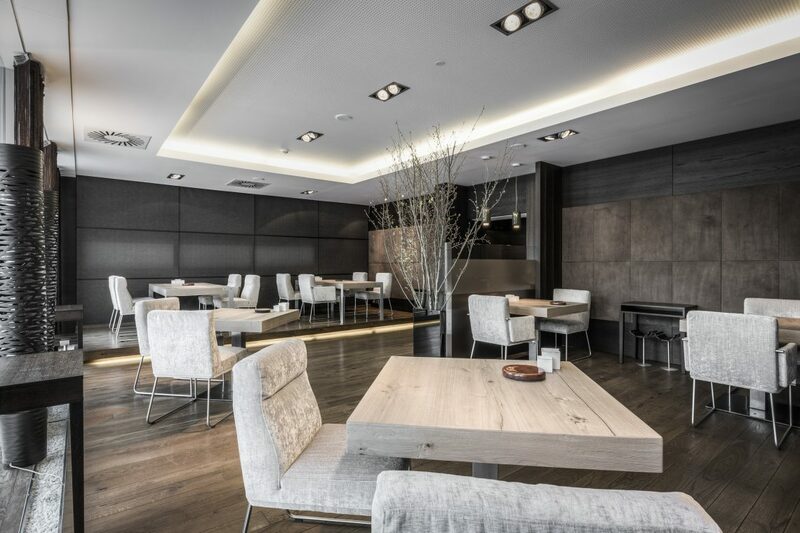 What is his connection withHotel Restaurant Spa Rosengarten? And where is it? If you can answer any of these questions don’t go any further. If you can’t, read, mark, learn, and digest, and if you’re very, very lucky, digest when you visit. Simon is the owner and head chef of the Hotel Restaurant Spa Rosengarten which he runs with his partner Sandra Cobald. 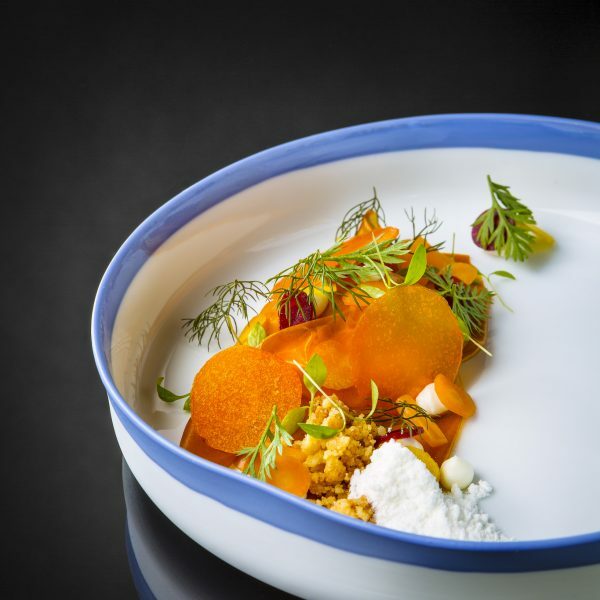 It’s the only five-star hotel in Austria with two award-winning restaurants: in the latest Gault & Millau Guide Simon has six toques and nineteen points, his Bistro Restaurant chef Martin Kinast has won a second toque and 15 points. What, I hear you say, does all this mean? It means this is the best in Austria, which answers my third question, where? To be specific, Kirchberg in the Tyrol, just a ski-run away from Kitzbühel, which you must have heard of. This is where the rich, the discerning, the elite, and those-in-the-know head to for their R n’ R. Discretion is everything in this part of the world. If you’ve got it you don’t flaunt it. What you do do is stay at the Rosengarten; that is if you’re lucky…there’s a long waiting list. The middle of January, for example, is impossible. Why? The eyes of the world are on neighbouring Kitzbühel where the elite men downhill skiers launch themselves down the infamous Streif course in the Hanhnenkamm race. Glamour personified. But all is calm in the hotel, which, from the outside is undistinguished, like a private health club perhaps, but once inside you are greeted by the charming Sandra and immediately enveloped in understated luxury. 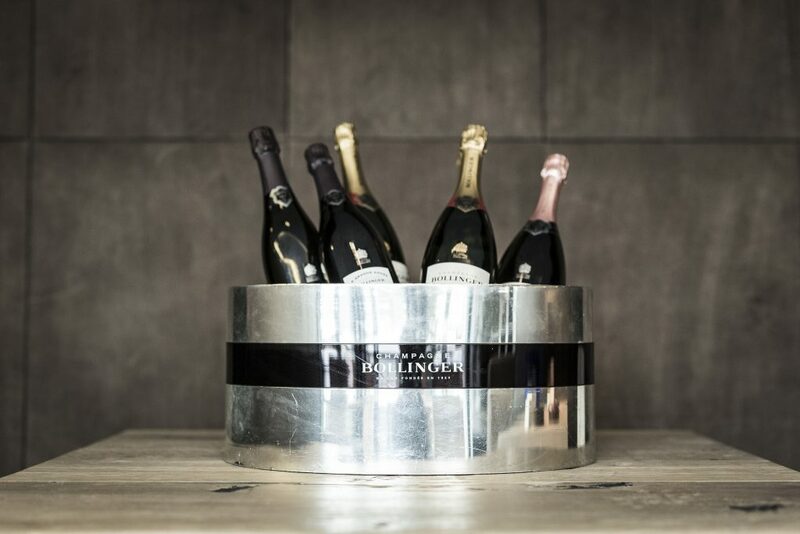 It’s easy to understand why they are listed by the ultra-exclusive Les Grandes Tables du Monde, and Relais & Chateaux. With 26 spacious and luxurious rooms and suites and a Finnish sauna, marble steam bath, beauty treatments and a relaxation area this off-the-beaten-piste gem is perfect for couples. But it’s the food that tops it all. Simon believes in individuality in his kitchen, “I’ve been influenced by renowned French, German and Austrian chefs. This is how I developed my cuisine, inspired by France and the Mediterranean – contemporary, creative, aesthetic, deeply rooted and contrasted” he says. “I love rare and heirloom species of vegetables, and I work with farmers in the southern Tyrol and Upper Austria who grow with devotion and attention following the seasons. Each vegetable requires a specific kind of preparation: it might be best sous vide, boiled or braised. We use these vegetables in all of our dishes all year long: for example, cauliflower as an accompaniment for scallops with beef marrow, black salsify served with cod and cooked apples, Jerusalem artichoke prepared in the form of a cracker, or beet adding its colour and flavour to marshmallow”. Wines are recommended with each course, which is where Martin Möser comes in. He’s a graduate of the WSET Wine Academy, one of the world’s most prestigious. I started to makes notes of his suggestions with my meal, but gave up after two courses and just relished what he put in front of me. Not content with being a sommelier extraordinaire he’s also, according to his card, a connoisseur de cigare. But that’s where I part company with him, being intensely anti-smoking myself. Out of curiosity, I peeked into his den, where he hosts a regular Cigar Tasting Club. His most prized smoke?…a Winston Churchill Davidoff 2009 Limited Edition, with a price-tag of €63. Each to his own. Me? I’d rather finish with a glass of Quinta do Noval 2011 single vineyard Port and reflect on my great good fortune to be where I am. 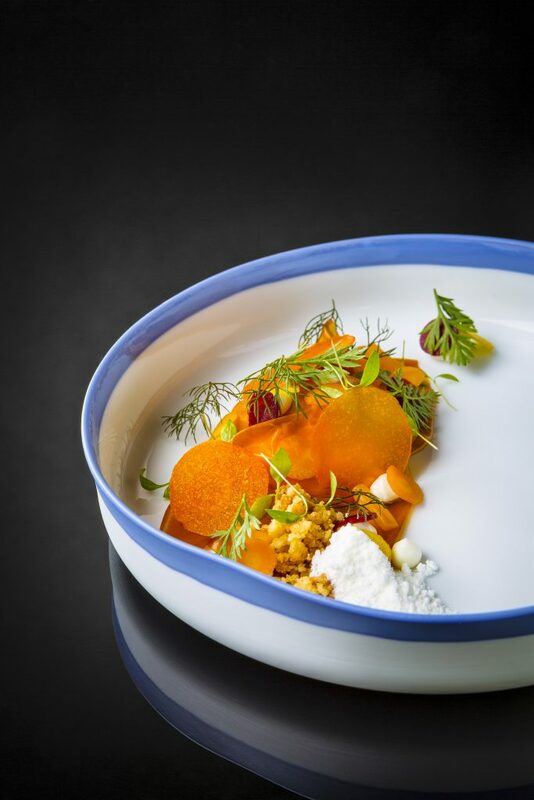 Michael Cranmer dined at Restaurant Simon Taxacher – advance reservation essential. 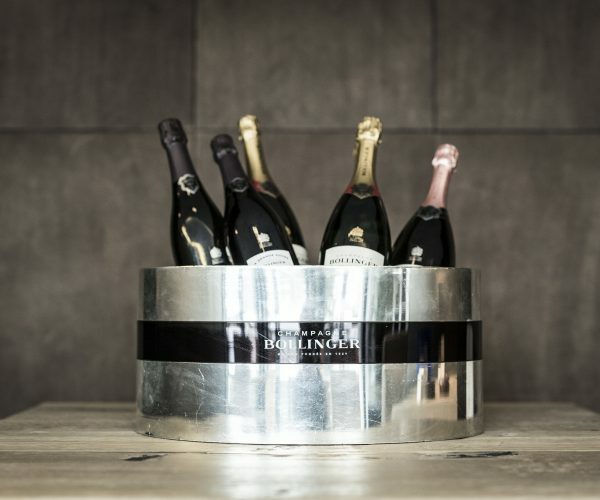 7-course gourmet menu is €175 per person (€104 to add paired wines) and 9-course menu is €229/€131 respectively on the same basis. 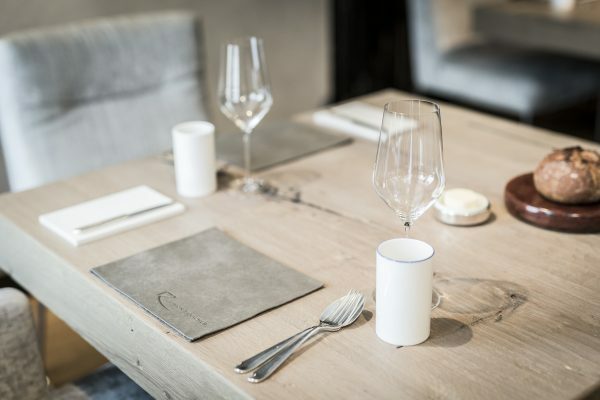 Located in Kirchberg near Kitzbuhel in the Austrian Tirol, Restaurant Simon Taxacher holds the highest culinary awards in the Tirol including the ultimate by Gault & Millau (4 toques/19 points). It also features in La Liste 2018 and in 2009 it was first and only restaurant to be awarded 2 Michelin Stars.